All high school seniors who reside in the 60646 zip code are eligible to enter to win a $500 scholarship to help pay for college education costs. 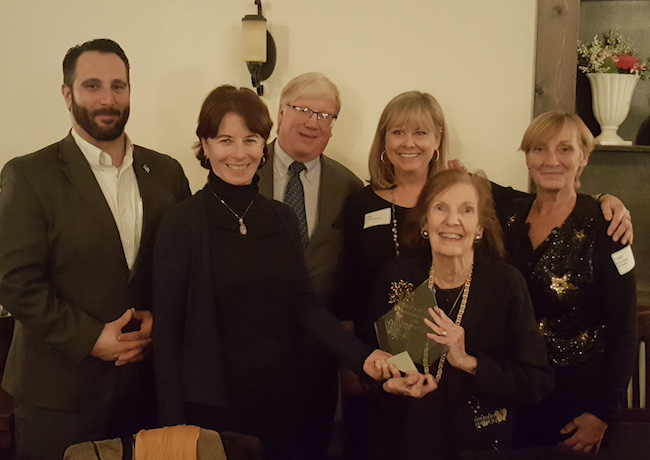 Alderman Anthony Napolitano, Alderman Margaret Laurino, Edgebrook~Sauganash Chamber President-Dennis Hammer, Executive Director-Jennifer Herren, Mary Lou Quinn and ESCC Honorary Board Member, Rita Quinn. 2. A 500 word essay on the student’s plans for higher education and how those plans will benefit them as a dedicated community citizen. 3. A letter of recommendation from a teacher, counselor, faculty member, supervisor, clergy member, athletic coach or scout leader. 4. A copy of an acceptance letter from the institution for higher learning that the student will attend in Fall of 2019. The deadline for entry is May 10.